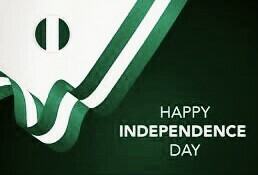 Happy Independence Nigerians. Our country is today a shame to other Nations in terms of human capital and infrastructural development. Many are ready to die in the desert or sea, than remain in a Lifeless country without much hope for the average youth. The government has failed and is still failing. No deliberate efforts to empower Nigerians with the Right Skills and Resources to Transform our Nation for the good of all. What will it take Nigeria to cut the Salaries and Allowances of ALL PUBLIC OFFICE HOLDERS from the President down to the councillor by 75%? And whoever cannot serve Nigeria with 25% of what he/she is getting presently should simply resign and go face their private business. What will it cost the Federal Government to build REAL Technology Training facilities in all states of the Federation and train our teeming youths to manufacture things like Microwave, Pressing Iron, Freezer, Television, Camera, Laptop, Cars, etc. and make all necessary raw materials available to achieve same? This is the way to change Nigeria. Every other thing is child's play.